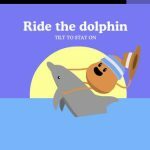 Dumb Ways to Die 2 is an immersive game by Metro Trains, and apart from being an enjoyable, addictive game for iOS and Android device owners that’s the sequel to the original title and surprise hit. The game promises a variety of new characters, as well as 28 different mini-games. Yes, it is indeed bigger and better than the original, but how can you deal with such a comprehensive title? We’ve come up with this Dumb Ways to Die 2 strategy guide that will help you in the mini-games, and for this installment, we’re going to talk about the mini-games in Freezerville. This mini-game may seem quite easy, but you can make it even easier by tapping the doors and windows to close them. 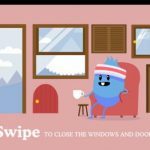 DWTD 2 will tell you to swipe to close the doors and windows, but tapping will do the trick just the same. 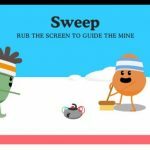 This is the easiest of all Dumb Ways to Die 2 mini-games, and that’s because you have one thing to do to successfully complete it – nothing. In fact, doing anything will lose the level for you, so don’t touch your display and leave everything as it is if you want to survive. DWTD 2 will suggest rubbing up and down, but it’s better to try rubbing left to right, and doing so more quickly as the mini-game becomes faster. 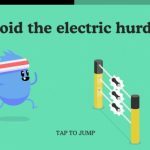 When playing this mini-game, you’ll have to tilt your device left and right, and while the good thing is that this is the easiest tilting game to control, the bad thing is that obstacles can be quite unpredictable. The best thing to do here is to avoid the left and right edges. This can be a very tricky mini-game, and getting the timing right can be very, very hard. However, you may try leaping only when your character’s skate is almost touching the crack. Jump too soon or too late, and you’re finished. There really isn’t much pressure involved in this mini-game, so to say. As long as the bar is above the 50 percent mark when your time is up, you’ll win the level. You can play this level by using multiple fingers, but some have reported success by using only one finger and tapping rapidly on the display. Doesn’t matter what tactic you use, as long as you tap quickly and make sure that the bar is past 50 percent. Your goal in this mini-game is to trace the yellow bubbles in such a way that your character takes the correct route while mid-air. You want to touch the bubbles in the correct order, and missing one of them is going to lose the level, no matter how small the mistake may be. Take note that it becomes harder to trace the route as you go farther through your run, and time limits also come into play – you have to trace accurately and quickly! In here, you have to groom the Yeti and remove all that grime, dirt, and insects to clean him up. Typically, using two fingers is a good idea here, as that allows you to quickly remove the nasty stuff, with one thumb on the left side and the other thumb on the right side. Using one finger will only make it harder for you, so go ahead and use two fingers and chances are you’ll be fine.